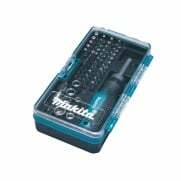 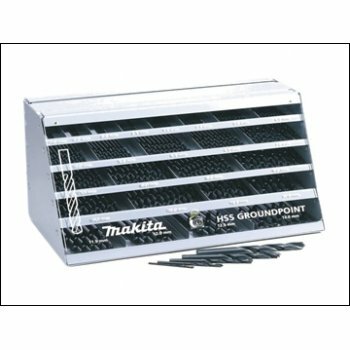 This Makita HSS-Ground Drill Bit Display contains a wide range of drill bit sizes to cover a number of applications. 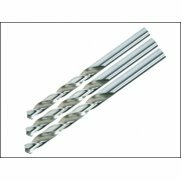 The drill bits are suitable for ferrous and non-ferrous metals, offering good drilling speeds and extended working life. 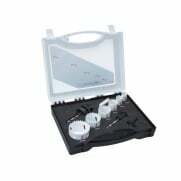 They have solid carbide tips and a 118° ground point. 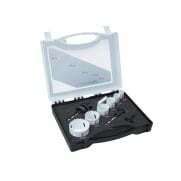 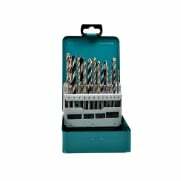 The display includes: 1.5 mm HSS-G Drill Bits (Pack of 10).2.0 mm HSS-G Drill Bits (Pack of 10).2.5 mm HSS-G Drill Bits (Pack of 10).3.0 mm HSS-G Drill Bits (Pack of 10).3.5 mm HSS-G Drill Bits (Pack of 10).4.0 mm HSS-G Drill Bits (Pack of 10).4.5 mm HSS-G Drill Bit (Pack of 10).5.0 mm HSS-G Drill Bits (Pack of 10).5.5 mm HSS-G Drill Bits (Pack of 10).6.0 mm HSS-G Drill Bits (Pack of 10).6.5 mm HSS-G Drill Bits (Pack of 10).7.0 mm HSS-G Drill Bits (Pack of 10).7.5 mm HSS-G Drill Bits (Pack of 10).8.0 mm HSS-G Drill Bits (Pack of 10).8.5 mm HSS-G Drill Bits (Pack of 10).9.0 mm HSS-G Drill Bits (Pack of 10).9.5 mm HSS-G Drill Bits (Pack of 10).10.0 mm HSS-G Drill Bits (Pack of 10).10.5 mm HSS-G Drill Bits (Pack of 5).11.0 mm HSS-G Drill Bits (Pack of 5).11.5 mm HSS-G Drill Bits (Pack of 5).12.0 mm HSS-G Drill Bits (Pack of 5).12.5 mm HSS-G Drill Bits (Pack of 5).13.0 mm HSS-G Drill Bits (Pack of 5).